I LOVE HUNTS! 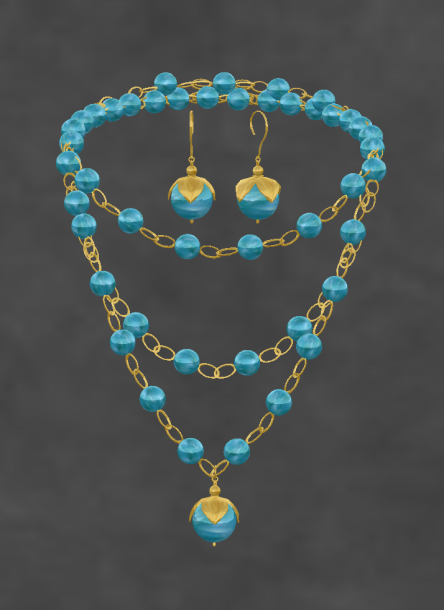 There are currently 2 hunts in progress at ELEMENTAL JEWELRY, but they will be ending soon, so hurry to the shop to get your prizes. The first hunt is the I LOVE SECOND LIFE FASHION HUNT, organized by Kasi Bouvier, which will end on March 5. For this hunt, I have made a beautiful blue, three tiered pendant--Blue Mist in Gold and Chrysocolla. The second current hunt is the BOURBON STREET HUNT, organized by Spooky Mistwallow of Kastle Rock Couture, and Lynn Pooley of Electric, which ends on March 8. 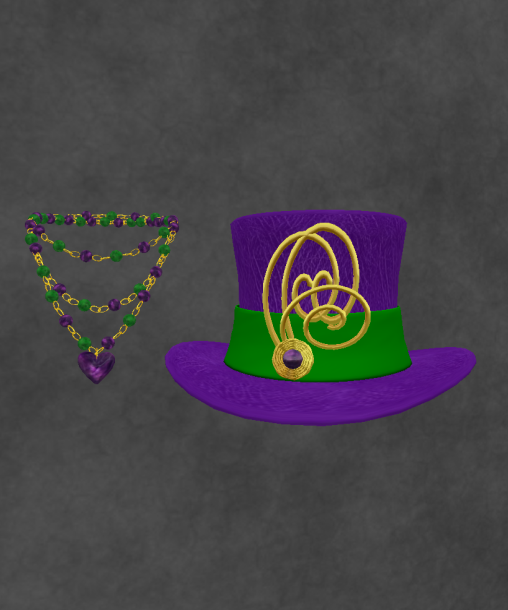 The theme, of course, is Mardi Gras, so I've made a take off on the Blue Mist pendant in Mardi Gras colors--purple amethyst and green tsavorite beads on gold. And for the gents, a tacki-licious Mardi Gras tophat.